One of the strengths of having a machine like this is flexibility. When you need a specific part, you walk over, fire it up and walk away with what you need in minutes, instead of hours, or worse, instead of settling for a part that sub-par. 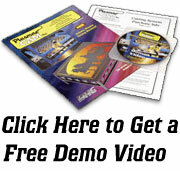 The Plasmacam makes ALL of your fabrication look TOP SHELF! I truly don't remember what it was like to NOT have one in my shop!